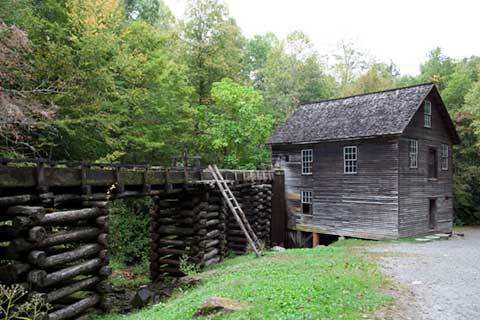 From Oconaluftee, we drove to the Mingus Mill. Mingus Mill is an old mill that is still operated by the Park Service. The mill was closed by the time we got there, but we walked around anyway. 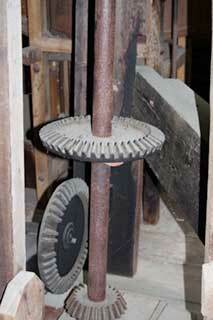 One of the unusal feature of Mingus mill is that it uses a metal turbine to power the machinery in the building instead of the conventional water wheel. 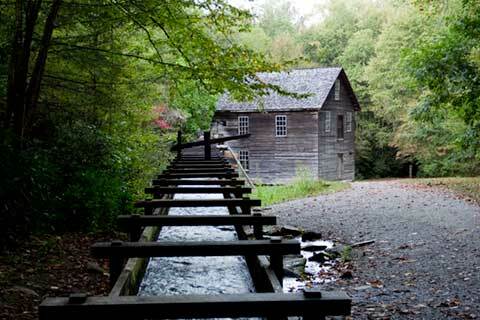 The only other mill in the park that I am aware of that uses a turbine is an abandoned mill on Roaring Fork Motor Nature Trail..
Minugs Mill was the largest mill in the Smokies and served a wide area and many families. We came back after our week in the park was over and the mill was open. The Mingus Mill is one of two (I think) operating mills in the park. The other is at Cades Cove on the Tennessee side of the park. There are also a few non-working mills in the park. It is worthwhile spending some time exploring the streams around the mill. 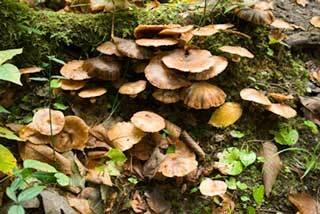 You can always find something--mushrooms, wildflower, or just wet rocks. Travels with Nessie Home :: Site Map:: Contact webmaster@ncsparks.com-email us:: Copyright Leslie Sparks 2006, 2007, 2008, 2009, 2010, 2011, 2012,2013,2019:: Last modified: June 16 2013.